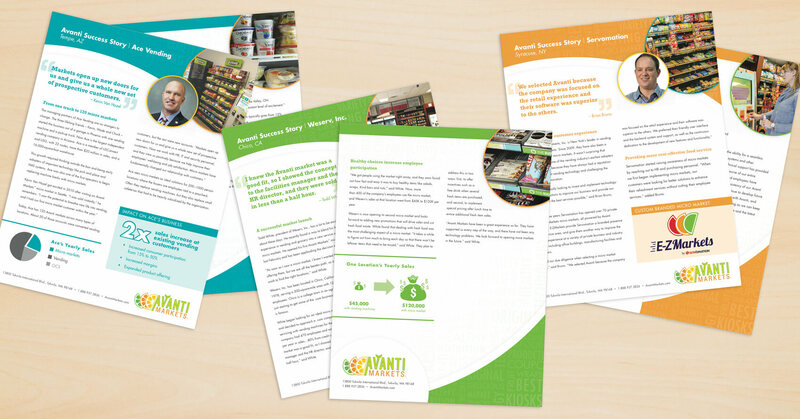 Seven years ago, Avanti invented micro markets – enabling businesses to build custom convenience stores right in their own facility. But when you have a good idea, everyone wants to copy it. So Avanti was looking for a new program to maintain brand dominance and keep competitors at bay. Employees love Avanti Markets. Businesses do, too. They improve employee morale and boost company productivity. 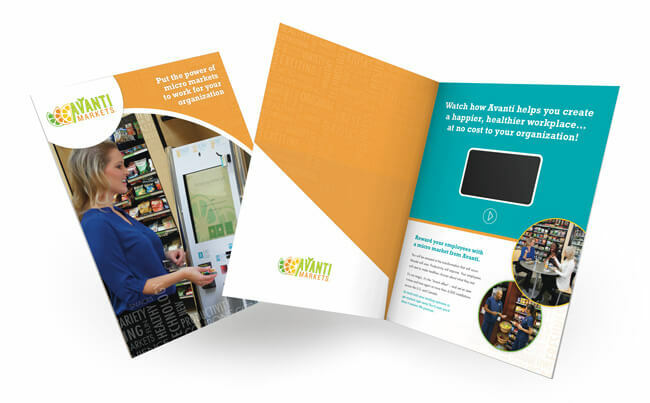 Avanti’s value proposition was expressed in a dynamic video featured at the booth, online and even on video pocket folders.